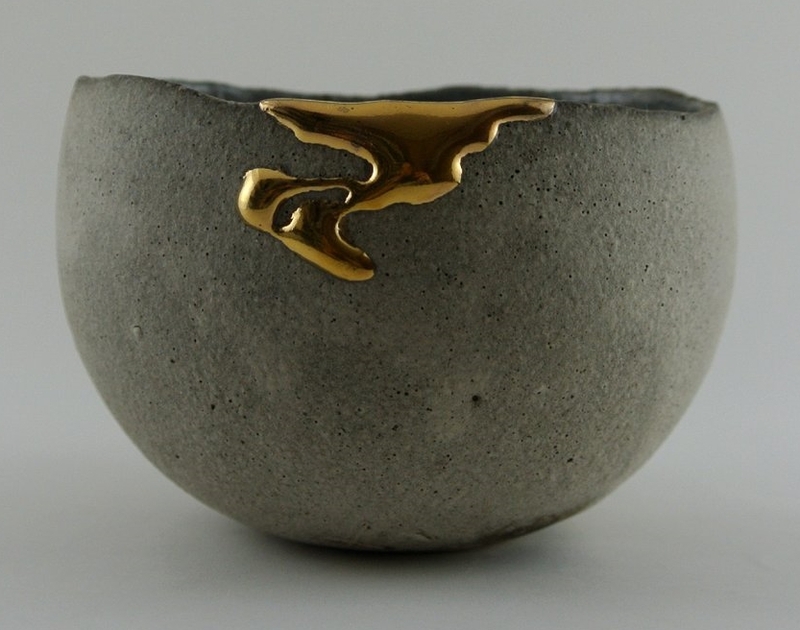 Kintsugi is the Japanese art of repairing broken pottery with lacquer dusted or mixed with powdered gold, silver, or platinum. 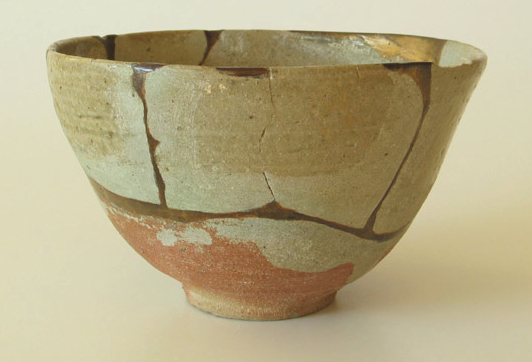 As a philosophy, it treats breakage and repair as part of the history of an object, rather than something to disguise. 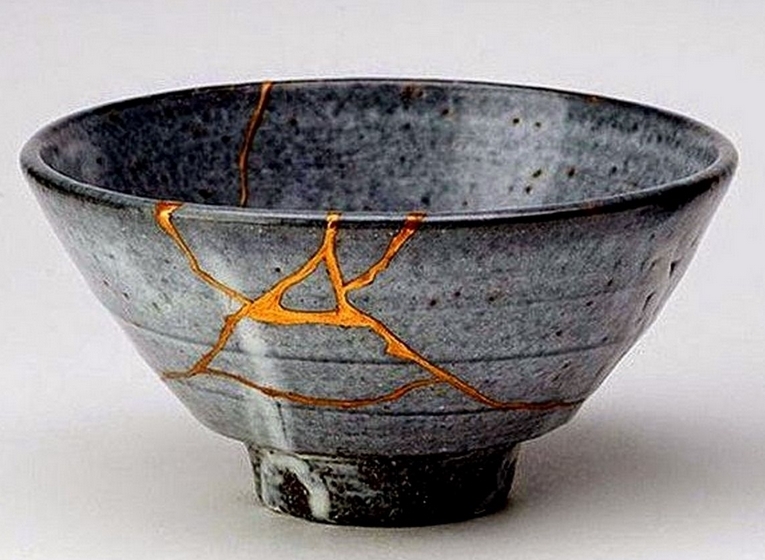 Kintsugi can relate to the Japanese philosophy of “no mind” (無心 mushin), which encompasses the concepts of non-attachment, acceptance of change and fate as aspects of human life. This entry was posted in Uncategorized on August 4, 2018 by Bix. This is WONDERFUL, BEAUTIFUL, AND SPIRITUAL!!!!!!!!!!!!!!!!!!!!!!!!!!!!!!!!! It’s great, isn’t it. I had a professor years ago who used to say, when something went wrong, “it’s a beautiful tapestry of imperfection.” Means more to me the older I get.